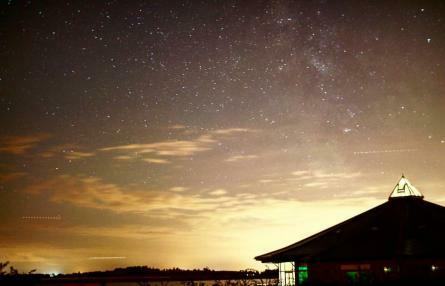 Join Essex Wildlife Trust and North Essex Astronomical Society to look at the night sky through large telescopes at Abberton Reservoir. NEAS members will give talks throughout the evening. Booking essential. Please call 01206 738172 to reserve your place. Please note the event will run whatever the weather. Please see our Abberton Reservoir Information page for important details about this event. Events are suitable for all ages but children must be accompanied by an adult. If you own a telescope and need help with it, you are welcome to bring it along and we will try to assist you. Unfortunately this is not always possible on busy nights when the sky is clear due to the numbers attending. You are responsible for your equipment and will need carry it from the public car park. We are unable to assist with transporting your equipment and accept no liability for any damage that may be caused to it. Only our members are covered by public liability insurance at our events, so please be aware of this before letting other members of the public use your telescope. Red lights will be put in place around the car park and path to the telescopes. Please refrain from using torches as this ruins the excellent dark sky conditions around the centre. No flash photography please unless you want to see grumpy astronomers! Our volunteers may use safe laser pointers to show you things in the sky, but members of the public are not permitted to use their own pointers at our events. If you are seen using a laser pointer you will be asked to return it to your vehicle or leave the event. No dogs are are permitted other than registered assistance dogs. Please supervise your children at all times, our volunteers cannot take responsibility for them. No eating, drinking or smoking around the telescopes please.